A Liquid Facelift is a process developed by dermatologists to lift and contour the facial features without invasive procedures. A liquid facelift uses a variety of products to open up the eye area, fill in wrinkles and creases, restore firmness to sagging skin, minimize jowls, fill in sunken cheeks, and plump up the lip line. This contouring of the face can take years off of an individual’s appearance and give him or her a more pleasant countenance—without invasive surgery. Technically, a skin care specialist performs a Liquid Facelift by using products to rejuvenate skin and fill in lines and wrinkles that age the look of the face. The doctor will use chemicals to smooth out the rough places, dermal fillers to fill in the hollow areas, and Botox to keep the muscles from causing wrinkles and droopiness. Botox allows the muscles which lift the facial features to remain active, and immobilizes those that cause sagging and wrinkling. Every person who undergoes a Liquid Facelift has an individual treatment plan to optimize his or her outcome. 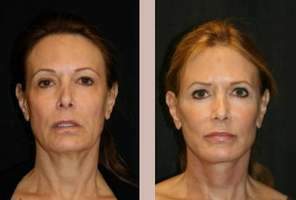 What areas of the body can be treated with a Liquid Facelift? Though some of the products used in this process can be helpful in contouring other parts of the body, a Liquid Facelift is done only above the neck. What are the advantages of a Liquid Facelift over other similar treatments? A Liquid Facelift can be done on an outpatient basis with no cutting or stitches. General anesthesia is unnecessary, and patients can quickly return to their normal routines. Although a Liquid Facelift can be performed on most men and women, a few are not good candidates for these procedures. This includes people who have a past history of responding in a negative manner to medicines, dyes, or other medical procedures. Individuals with diabetes or bleeding disorders should be cautious about a Liquid Facelift. Also, this procedure is not for people with neuromuscular or cardiovascular disease. Most patients have only slight bruising, swelling, and redness to deal with in recovery. These can be controlled with ice packs and over-the-counter pain medications. The purpose of a Liquid Facelift is to reduce signs of aging and restore facial features to the contours of youth. After this procedure is complete, the patient’s face will have fewer wrinkles and folds. Slack skin will be taut once more while blemishes and skin discoloration will be less visible. The patient will immediately look rested and relaxed. Redness, tenderness to the touch, and slight bruising may occur at injection sites. Chemicals can result in some residual peeling. Some patients report inflammation under the skin, sometimes triggered by a reaction to the filler, but these nodules usually disappear with time. If the filler is not spread properly, there is also the possibility of lumps under the skin. Doctors must inject filler carefully to prevent lines from showing through the skin. These too will eventually dissipate. As with any procedure where the skin is broken, a risk of infection is present. Also, work around the lip area can trigger a herpes outbreak. Less than five percent of the people who have Botox injected will develop a short term droop of the eyelid which will return to normal. Other types of paralysis, though rare, are possible. In extremely rare cases blood clots can occur from injecting a blood vessel with dermal filler. It is good to keep in mind that risks are completely dependent on the types of treatment your liquid facelift consists of, and are completely customizable. Is a Liquid Facelift approved in the U.S.? 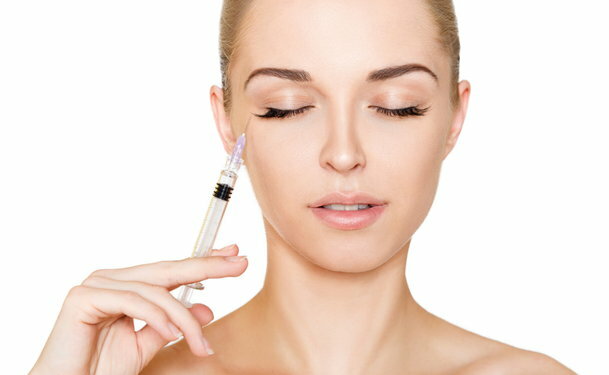 All of the products used to perform a Liquid Facelift, such as Botox, Juvederm Ultra, Juvederm Ultra Plus, Sculptra, Perlane, Radiesse, and Restylane are approved by the FDA for one area of the face, but doctors are allowed to use them off-label for other areas. In the U.S., these products are applied or injected by board certified physicians, plastic surgeons, or dermatologists. Is a Liquid Facelift covered by insurance companies? A Liquid Facelift is a cosmetic procedure and is usually not covered by medical insurance plans. Cost will vary based on the products and the extent to which they are used to achieve results.